In the following chapter, Meierhenrich extends his conceptual history of the Rechtsstaat into the beginning of the National Socialist dictatorship. 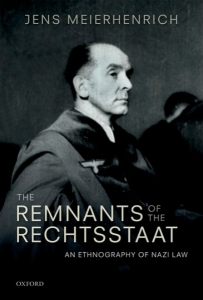 Between 1933 and 1936, Nazi jurists debated whether the Rechtsstaat could be assimilated into Nazi jurisprudence. On the one hand, jurists such as Otto Koellreutter argued for a racialised version of the Rechtsstaat, in which ‘law’s constitutive and constraining force derived from the völkisch idea of law and no longer from the “rigid forms of statutory rule”’ (114). In the opposing camp, jurists such as Carl Schmitt argued that the concept of the Rechtsstaat had to be removed from the legal vocabulary of National Socialist jurisprudence, as ‘it was a manifestation of degenerate law’ (141): an inherently liberal and subversive concept to National Socialist tyranny. More than merely a turf war between competing academic camps, the debate over the Rechtsstaat‘points to a neglected social mechanism in the making of the Nazi dictatorship: the reconstitution of legal norms’ (155). While these debates help to situate Fraenkel’s The Dual State within its broader intellectual background, the chapters are equally valuable when taken on their own as conceptual histories of the German Rechtsstaat. 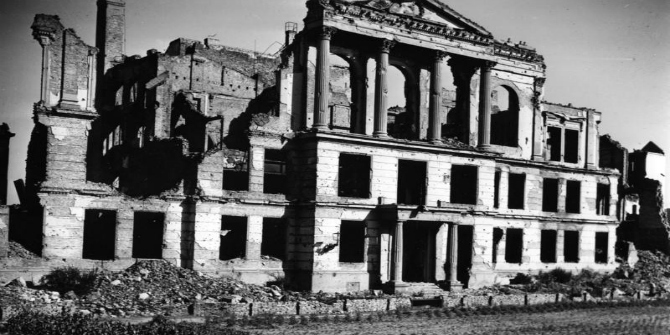 Joshua Smeltzer is a doctoral student at the University of Cambridge pursuing a PhD in Politics and International Studies, with a focus on twentieth-century German political thought.